Buying Kate Spade Eyeglasses frames online means you get cheap designer eyeglasses and eyewear due to designer and retailer discounts. Genuine discount eyewear at affordable prices. Founded in 1993, Kate Spade was into manufacturing hand bags, fashion merchandise and stationery. Around 56% of Kate Spade's shares were sold to Neiman Marcusin in 1999. Later Kate Spade moved on to production of designer eyeglasses. These designer eyeglasses started off with some very high quality materials. They truly combined fashion and class. For the first time geometrical shapes were given their importance in conjuring up the designs of eye glasses. The Kate Spade designer collection plays a lot with the geometric shapes by modifying the usual shapes into something attractive and unique. Safilo Eyeglasses also happens to possess the license to manufacture Kate Spade eye glasses and operates in over 120 countries. 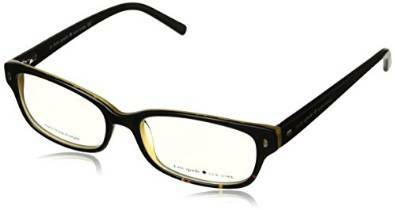 Kate Spade designer eyeglass frames range offers a wide range of some playful but sophisticated eyeglasses. Similar to their handbags and other fashion accessories, their eye glasses are also just as bright and dazzling! They are awesome for everyday wear and even appropriate for any special occasions. The designer eyewear collection has some meticulously made glasses which include rectangular and oval shapes. The newer glasses are more formal to look at but the more popular ones have some catchy colors and different styles. The shapes are quite feminine and attract a lot of admiring looks by the buyers and onlookers. The other range of products of the brand such as handbags and accessories has passed on the trend of stripes and designs even to the Kate Spade designer eyewear collection. One of the eye glasses is orange in color giving it a vibrant and youthful look. It is almost in the shape of a butterfly and has a perfect shine. 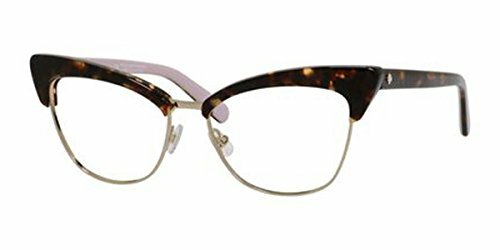 The most unique aspect of Kate Spade eye glasses is that they have a fresh look each time. A certain enthusiasm and energy radiates from the Kate Spade eyewear that immediately urges one to buy it. This is something which reflected in all of this eyewear designer's products. Also another major aspect is that it cannot be easily imitated. It has the potential to go with party wear as well as with casual wear. Conventionally the eye glasses were found in 2 beautiful shades viz: emerald and amethyst. The nose pads are also quite comfortable and do not wear out easily. 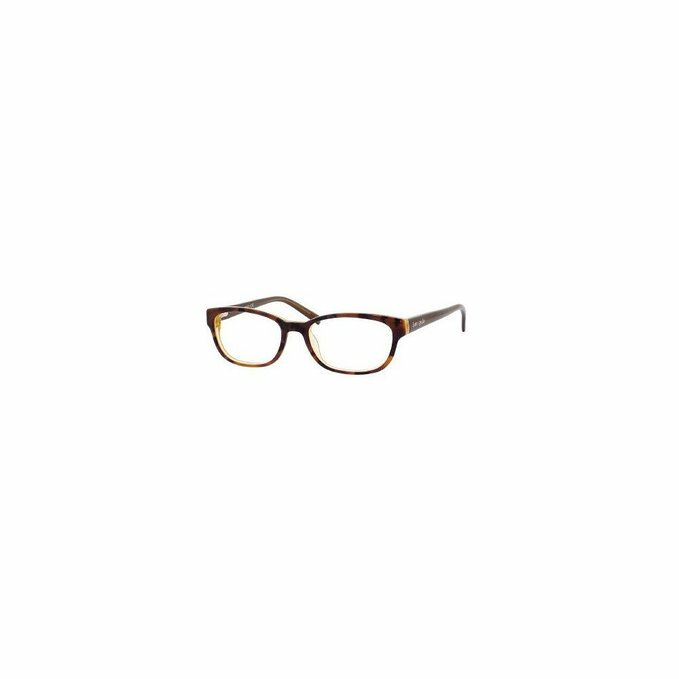 The Kate Spade eyeglass frames are designed in such a manner that the sturdiness and strength compliment the designs. Young women always relate to the designer brand's flair for good fashion sense and find the eye glasses quite appealing for any occasion. There is a sense of originality that people find with Kate Spade's eye glasses. It radiates a sense of ownership and rouses some kind of belonging. 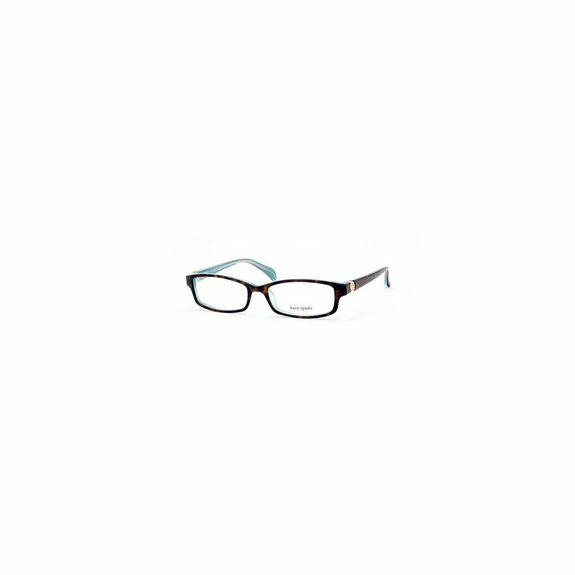 Most of the people buy these eyeglasses for the fine texture of the frames and some wonderful colors. Kate Spade eyeglasses brand defines its style in all its products and more so in the eye wear category. Some designs are simple and in light colors and there are others which give a debonair appeal. These glasses are long lasting because of the rich quality of material which has been used. The use of advanced technology also helps in making these designer eyeglasses quite robust. Without doubt the best place to find quality cheap eyeglasses and in particular cheap designer fashion eyeglasses is when buying eyeglasses online. Designer discounts are always available and that can make designer eyeglasses become reasonably cheap eyeglasses.Without doubt online is the place to go in your search for discount designer eyeglass frames.